I joined the ranks of travel hackers 2 years ago and have since booked some amazing trips. This past year, I booked an entire trip to Australia on frequent flyer miles and hotel points — all of which I accumulated at virtually no cost. I flew a multi-segment trip to Sydney in First Class. On one segment, I flew the Thai Airways A380, where I had a “suite” with a seat that turned into a bed. On another segment, I feasted on caviar and lobster thermidor. I got to speed past the other passengers through immigration and security upon landing in Sydney. 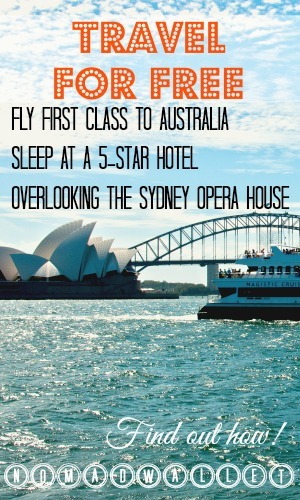 I stayed at the five-star Park Hyatt hotel in Sydney, where I was upgraded to a room with amazing views of the Opera House and where my $90 breakfast bill was comped by the hotel. All of this is just a token of what travel hacking has gotten me. It’s not just about traveling for free, it’s about upgrading your travel experience. The answer is yes, pretty much across the board. Every major rewards credit card on the market right now is good for at least one round-trip domestic flight or one free hotel night. If you don’t mind roughing it in economy class, the 50,000-mile sign-up bonus from the Citi AAdvantage card is enough for one round-trip economy ticket to Europe during the off season (October 15 – May 15 for AA flights). If you want to avoid a $3,000 spending requirement, the US Airways World MasterCard offers 30,000 miles after your first purchase (it can be a $1 soda at a gas station). 30,000 miles is just 5,000 short of an off-peak economy flight to Europe, which US Airways classifies as January 15-February 28. Clearly, these reward credit cards are not to be underestimated. 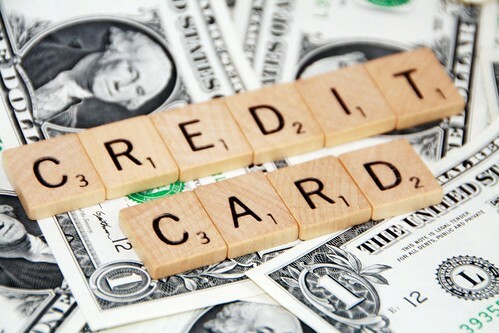 Aside from the rewards, credit cards are also useful for achieving status with rewards programs. Status equals better treatment, upgrades, and free stuff. The perks from that Park Hyatt stay I mentioned above? Courtesy of my Hyatt Diamond status. Having status means you won’t have to pay for internet, breakfast and, in some cases, even other meals if you take hotel lounge access into account. So you went for it and signed up for your first rewards credit card. Congratulations! Now go back to your computer and do it again. Use credit cards to your advantage. 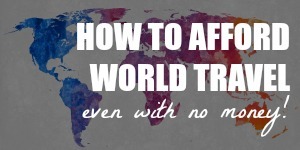 Travel hacking isn’t about just getting one card and sticking to it for life. Hackers get three to five credit cards at once (to minimize the hit on their credit report) and once they’re done with the sign-up bonus and see no use for the card in the future, they dispose of it and do another churn three months later. This is done over and over again, year after year, with no long-term negative impact on one’s credit score. What’s more, some issuers allow you to get the same card more than once. So if you cancel your card and decide you miss the hefty sign-up bonus, you can simply re-apply and top off your rewards account yet again. Pick up an American Express Bluebird prepaid card. This card is free when ordered online, though there is a small fee when you buy it at Walmart. Activate the card and set up an online account. Head to your local CVS and purchase Vanilla Reload cards with your mile-earning credit card. These are found on the gift card rack and come in $500 increments, with a $3.95 fee. Load your Vanilla Reload card onto your Bluebird card. You can quickly do this online. Use your Vanilla Reload card to make mortgage/rent payments, or pay off your mile-earning credit card. Bank the miles at the end of your billing cycle. Manufactured spending is done in a variety of other ways as well, involving Visa/Mastercard/American Express gift cards. However, the Vanilla/Bluebird route is the easiest. Update: it’s no longer possible to use Vanilla Reload cards for manufactured spending. There are still other ways you can do it, though. A mileage run involves flying on a very cheap fare (aka a mistake fare) in order to earn miles as well as elite status. 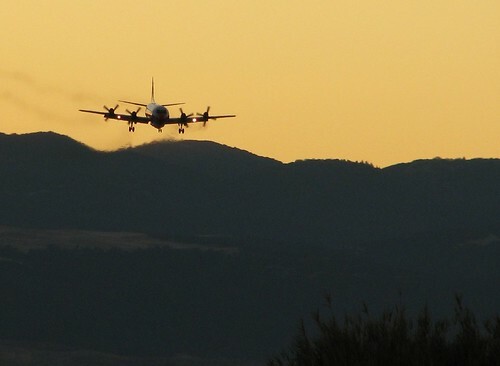 You can track mileage run deals on Flyertalk or follow @TheFlightDeal on Twitter. Last November, they broke an insane fare glitch that was happening on Norwegian booking site Wideroe. For pretty much an entire day, people were able to book flights between Los Angeles and the Middle East for under $300 round-trip. Or if Europe was more your cup of tea, you could book a round-trip flight between New York and Milan for $150. That number is not missing a zero — it was dubbed one of the lowest mistake fares ever, and plenty of folks jumped on it. The tickets were honored and those who got in on it are off sunning themselves on a beach in Dubai and enjoying the fashion scene in Milan. There are many other facets to the travel hacking game, and the best way to stay up to date is to read blogs specializing in this niche. I write one of these blogs, PointChaser.com, and if you’re still scratching your head after reading this post, check out my beginner’s guide for a more extensive overview of what travel hacking involves. 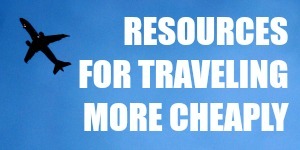 Another great site for beginners is Frugal Travel Guy, which focuses almost exclusively on the newbie audience. There are more advanced techniques for earning miles, though trust me, once you dedicate yourself to these steps, that will keep you plenty busy. Got any questions about travel hacking? Feel free to leave a comment or shoot me an email. The CVS/Vanilla Reload hack referenced here is dead. You can no longer purchase Vanilla Reloads with your miles-earning credit card. Thanks, Lance. I’ll update the post. 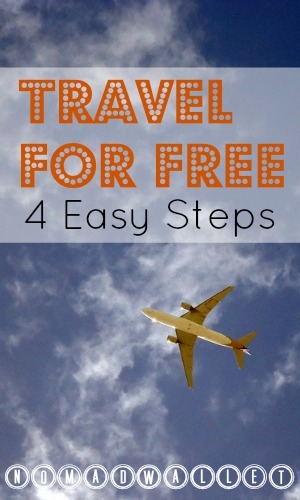 I started trying to do this 3 months ago and I’ve already earned enough points for a free round trip international flight. I’ll probably be booking myself a vacation during Memorial Day with it! I’m nervous about the churning cards thing – do you think it matters if you open one, then 3 months later open another? The problem is that many of these have high minimum spending requirements, and I simply don’t spend enough to reach the limit on more than one card at a time. Hi Anna, I’ll reach out to Ariana for her opinion. I think it’s best to stick with those cards for which you can fulfill the spending requirements, unless you know how to manufacture spending. Like others have said in the comments, it’s easier to start slowly. Minimum spending requirements are no problem if you follow step #3. I was able to meet $30,000 in spending requirements this month alone, so trust me it’s totally doable. The 90 day churning schedule seems to be working for many long-term churners, and the good thing about it is that when your inquiries drop off every 2 years, they drop off in batches. Once you get the hang of manufactured spending, there are no obstacles to churning cards. Just make sure you don’t get yourself into debt and pay your cards off every month. I also went to Australia on a multi segment biz class via Asia and a stopover in Paris on the way home. Using hotel points and air miles, I was able to use savings to upgrade experiences with private guides, etc. Travel hacking is more beneficial for US folks but I caution that those who pay credit cards in full each month dip their toes and do what is comfortable. 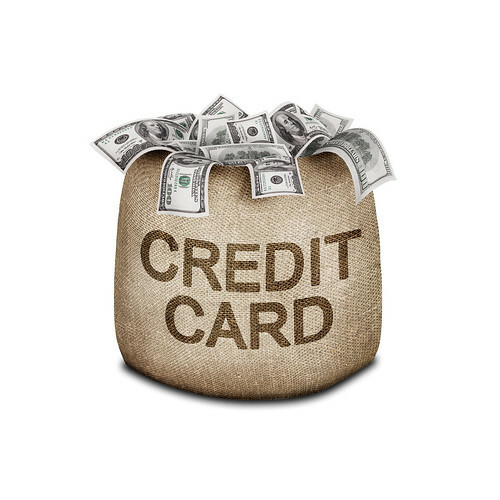 If you have a debit card or can’t pay in full then wait until you are better suited with credit. I don’t churn or bluebird/VR and it works for me. For example, i was flying to Toronto a $600 ticket, I opened a USAir card for bonus miles (no spend required) and earned two air tickets – one I used for Toronto and one left to use – savings of almost $1,000. For me, this was a great “hack” but not complicated. Start small with what you need/want now and then learn more. Good point. Starting small is great advice, especially cos there are so many moving parts in this travel hacking thing. Absolutely! Be responsible, start small, and work your way up as you feel more comfortable. It is true that you say there are a lot of opportunities to earn points when you are based in North America. A lot (or even all) of what you mention above are cards available to people based in that territory alone. For us in Europe the competitive nature of the market is not quite the same but there are still a wealth of opportunities. People should join the hotel and airline loyalty card schemes for a starter and can earn points as and when they use their services. In addition there are some airline branded credit cards which offer miles and sign up bonuses. This is particularly prevalent with the likes of American Express and MBNA cards. As a word of warning though I wouldn’t recommend the high churn of cards that you propose. In Europe and particularly the UK these all show on your credit report and too many points of access to credit may work against you in future applications. Also credit cards are also wise to people cancelling then re-applying to earn the benefit again. Look out for clauses which specify the sign up bonus is a one time offer to households. 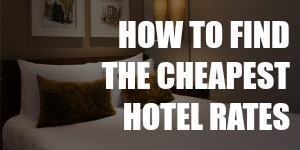 However you can also earn points without credit cards. Such as the Nectar or Tesco Clubcard schemes can allow you to earn points on day to day shopping which can be redeemed for flights or miles. I’d also advocate getting the Marriott hotel loyalty card (doesn’t have to be a credit card). The reason I say this is because when you stay in one of their branded hotels you can earn both points towards a future hotel stay and towards an air mile scheme. They market the fact that they are the only hotel loyalty card that offers this. Thanks for sharing your travel hacking tips for people in Europe and the UK! Most of the best opportunities do seem to be for Americans and yes, the cards mentioned here are all US cards. Travel hacking is so complex that I don’t think it’s possible to cater to everyone in such a short article. Even Canadians have dramatically fewer options compared to Americans. That Marriott card sounds like a good one for everyone to start with, though — thanks! I agree that credit cards should always be handled responsibly. For American and Canadian travel hackers at least, churning cards seems to be a regular strategy that’s safe as long as it’s done carefully. You’re right, the game is different in Europe. Aside from lower sign-up bonuses, the credit system is different and probably not conducive to churning. If you’re in the UK, Head for Points is a great site for UK-based miles/points collectors. Hilton has a similar point earning system to Marriott, where you can earn both Hilton points and frequent flier miles.